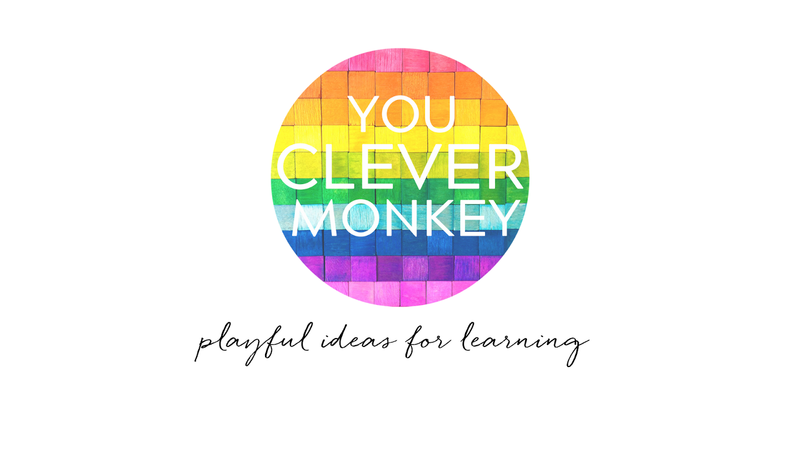 Looking for more literacy center ideas? 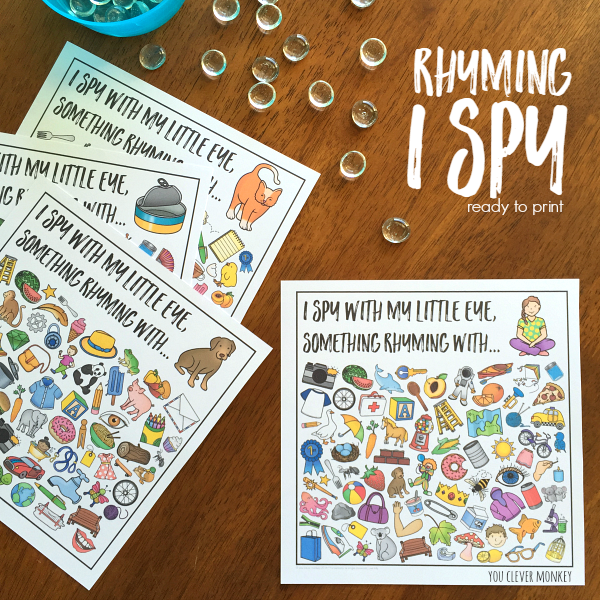 These ready to print rhyming clip cards are a fantastic addition to your literacy work stations in class. 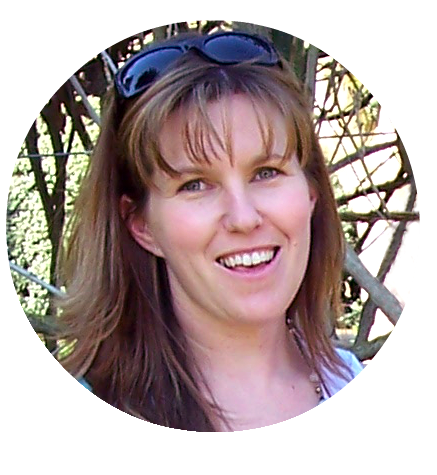 Recently I wrote how important developing phonemic awareness was in Early Childhood. It is key to learning how to both read and spell and, then subsequently, write. By preschool age, one of the components of phonemic awareness is being able to identify rhyme. As teachers, we try to create as many opportunities for the children in our classroom to hear rhyme so as to help them understand the concept. We immerse them with good books that rhyme in class, we play fun games with rhyming words and we use different resources in our literacy stations to help young children build their understanding of rhyme. 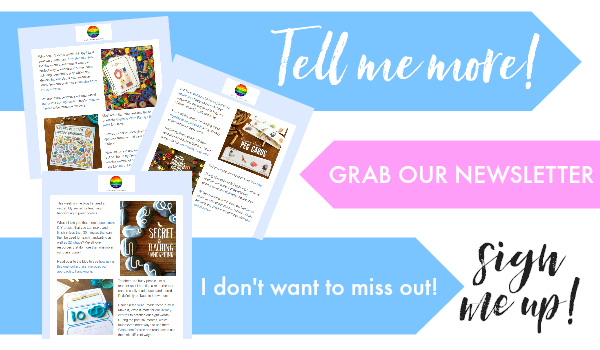 Literacy centres have been a staple activity in my Early Years classroom I'm always looking for new ideas to help engaged the students in my class. My class this year have been struggling with rhyme so I been creating more literacy centres focusing in on rhyming words to help support their growing understanding. 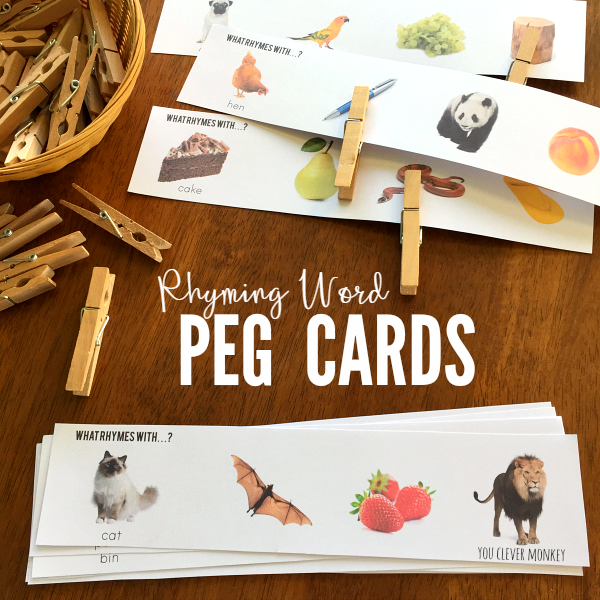 Most recently I made these printable rhyming word peg cards to add to our Word Work boxes. As you can see, they are simple to use. Just print them out on some card stock to make them strong enough for repeated use. I laminate most of my literacy centre materials. 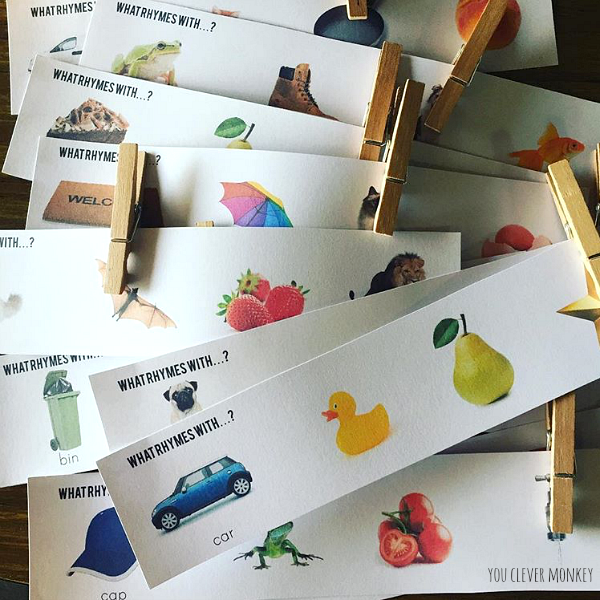 Add some clothes pegs or counters to your centre for children to mark the rhyming word and it's ready to use! Each card uses beautifully clear colour photos to help support young children in their learning. The first picture with the text below is the word children are trying to find the match to. There are then three more photos for them to find the rhyming word from. For example, for the word 'cat' children have to choose between bat, strawberry and lion. Most images will be familiar while others will help build on their growing vocabularies. These rhyming word cards can be used for independent word work but because I plan to use these with a small group, I've created 40 different cards for them to work through. Books are a fantastic way to introduce and reinforce rhyme to young children. Learning to rhyme should be fun so I've collected more than 30 different riotous rhyming books your child will love to read! Check out the list now.